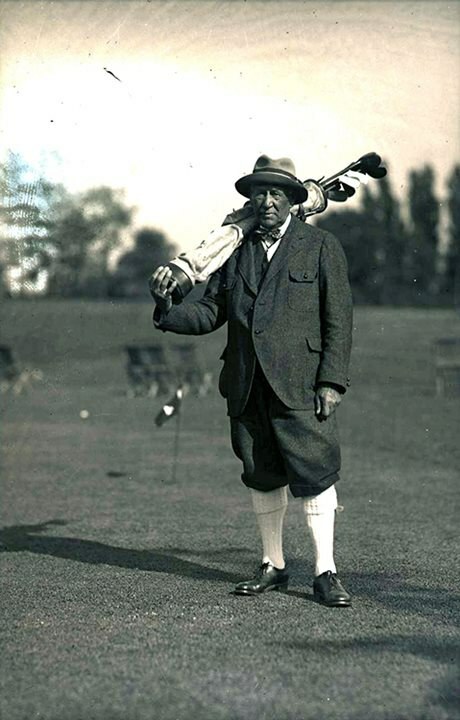 George Seymour Lyon (1858-1938) was a multi-talented 19th-century sportsman who has the distinction of being the only Canadian to win an Olympic gold medal in golf. A natural athlete, Lyon set a national record in pole vault in 1876 at the age of 18. He was a well-known amateur baseball player, one of the country’s greatest cricket players and an accomplished soccer and football player. At the age of 38, he tried his hand at golf and, two years later, won the Canadian Amateur Golf Championship. In 1904, Lyon competed in the Olympic Games in St. Louis, Missouri and won the gold medal. He celebrated his win by walking on his hands through the clubhouse. In his later career, he won the Canadian men’s Senior Amateur Golf Championship 10 times, the last one at the age of 71. Watch Historica Canada’s Heritage Minutes video on Lyon. Read more about Lyon on the Golf Canada website. Learn more about Lyon on the Canada’s Sports Hall of Fame website.